These trousers by Rock and Roll Cowgirl are made from a blend of cotton and spandex for just the right amount of comfort and stretch. Pin stripe detailing finishes off the look. 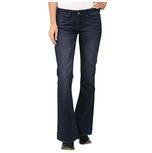 These jeans have a high rise waist with classic trouser styling. Other features include fully functional pockets, embroidered back pockets, and a vintage dark wash. Made from a blend of cotton and spandex for a comfortable fit. 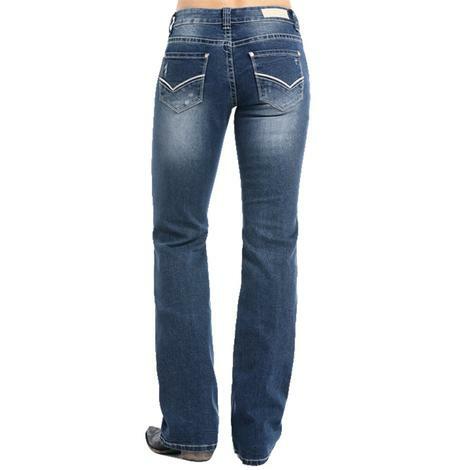 These jeans have everything that you love about Rock & Roll Cowgirl. From the vintage look to the functionality, these will become your go-to jeans for any occasion. Add these to your collection today! 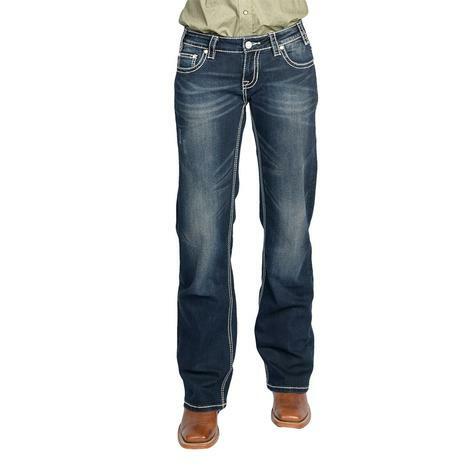 These jeans by Rock and Roll Cowboy has just the right amount of stretch for a form fitting and comfortable wear. All pockets are fully functional and the back pockets are embroidered. 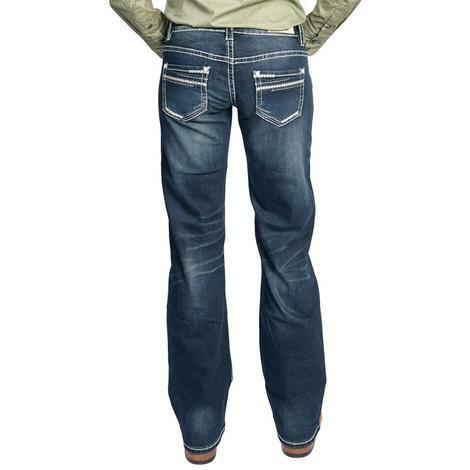 Boot cut so you can wear these with your favorite pair of jeans. 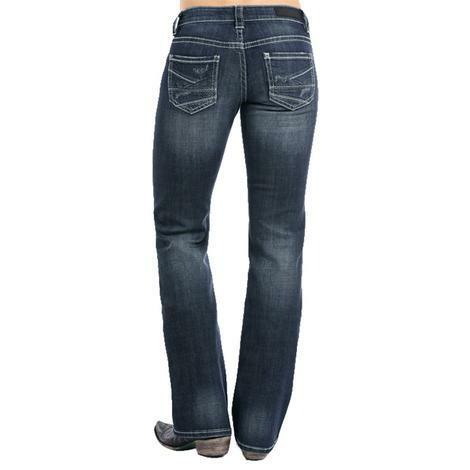 These jeans have just the right amount of stretch for a comfortable fit and feel. Features include decorative pockets, fringe detailing, and a vintage look that you'll love. Add these to your collection today while supplies last! 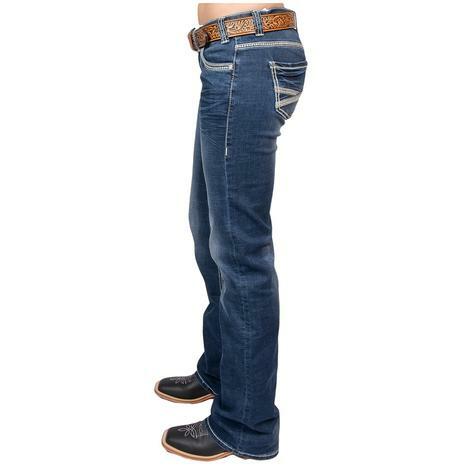 These jeans by Rock and Roll Cowgirl have a vintage dark blue wash with whiskers and sanding that create a striking contrast. Made from 98% cotton and 2% spandex. This boyfriend skinny jean by Rock & Roll Cowgirl comes in a distressed medium vintage wash with basic back pockets and embroidery patch details on the front of the jean. Light khaki topstitching and antique rose trims rounds out the jean. 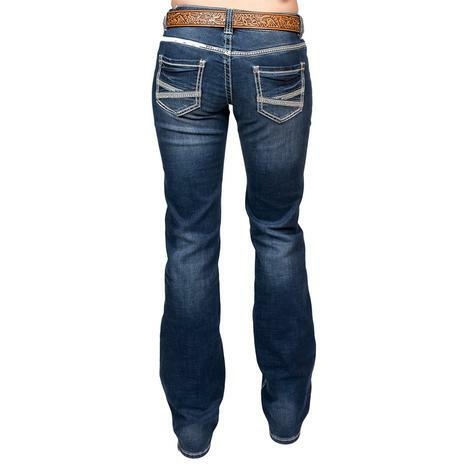 These jeans by Rock & Roll Cowgirl has plenty of stretch and come in a dark wash with silver lurex and navy large feather stitching on the back pockets. Ivory topstitching and shiny silver trims rounds out this riding jean. 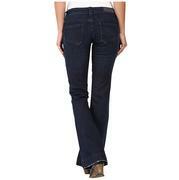 These jeans by Rock & Roll Cowgirl are made with extra stretch and are perfect for riding. Comes in a dark vintage wash with khaki, ivory, and copper multi stitch abstract embroidery with seam details on the back pockets. Made with 73% Cotton / 26% Polyester / 1% Spandex. Rock & Roll Cowgirl Low Rise Trousers features a low rise, trouser fit, boot cut, dark vintage wash, and fading/whiskering throughout the jean.